A cocktail of different types of inspired art- Tribal paintings, A little bit of sewing etc. Any thing creative and simple. 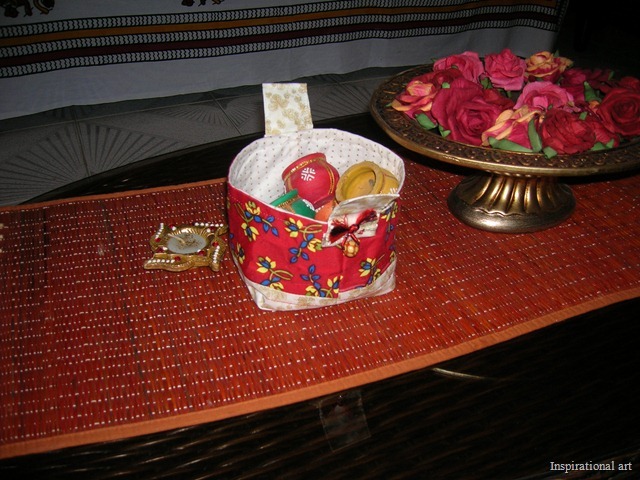 Posted by preeta pillai in Uncategorized. Last week was my friends birthday, and I thought it would be nice to gift her something with a personal touch. 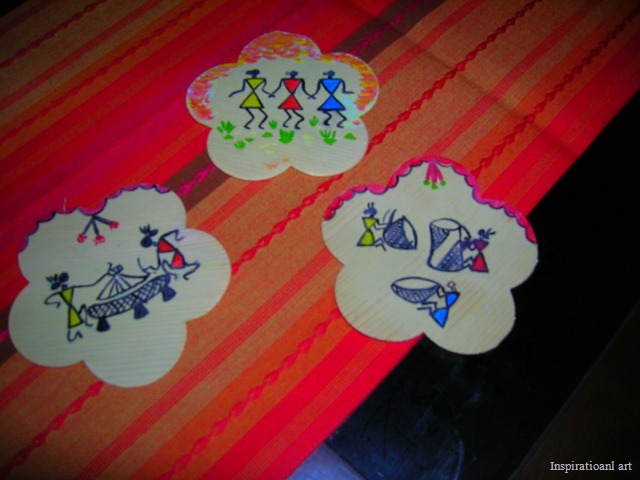 And these are the little things I made for her. 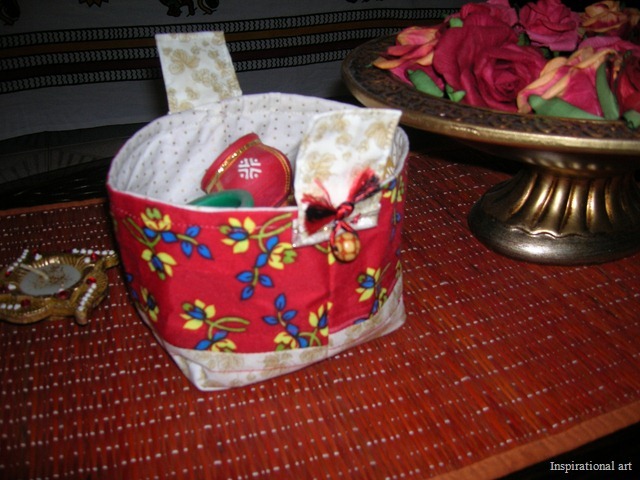 This basket I made from one of the Sew it feature, and since I had made one for myself before, I was more confident this time. 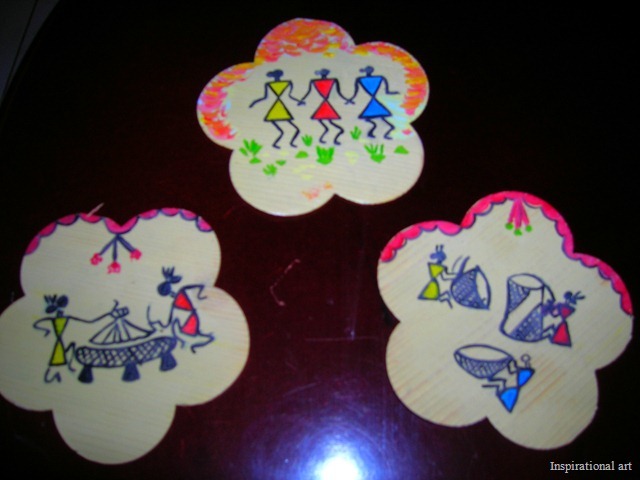 Then I also painted a few coasters for her, I have done warli painting on them. This is the first time I tried painting with oil paints. But after painting this one I felt acrylic paints were easy to use, since it dries up quickly. Oil paints really takes time to dry and it doesn’t spread easily. Here are the coasters. all ur stuff are too good. I am really proud of u….. I wish i had 1% art sense like yours haha…. Enjy putting ideas to work….